If you’re spending any time with friends and family in your back yard, your deck is the epicenter of your activities. 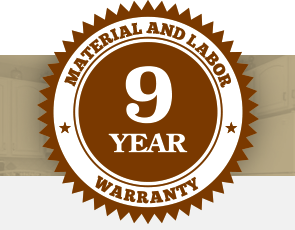 Unfortunately, if it’s left unprotected from the effects of the sun and our Nebraska weather, your deck will age quickly. Let Brush & Roll Painting help you keep your investment looking its best for years to come with regular deck maintenance and protection. The life of your deck depends on proper care and maintenance. But when you’re busy with work and family, you can’t afford to spend an entire weekend scrubbing and staining your deck properly. Let the experts do it and do it right. Our team starts with prepping your deck by scrubbing away the particles that make your deck look old and worn, including dirt, algae and mildew stains. Then we make sure all cracks, popped nails and screws are repaired, and finally finish your deck with the highest quality deck stain, available in a wide variety of colors and three opacities: natural, semi-solid and solid. The stains we use resist cracking, peeling and blistering and are long-lasting, providing up to 2-3 years of protection.